Israel has accused the Council of Europe of “fostering hate and racist trends” after it passed a resolution calling the male circumcision ritual "a violation of the physical integrity of children.” Tel Aviv demands the decision be rescinded immediately. The Council, a 47-nation pan-European intergovernmental organization that is not affiliated with the EU, passed the controversial non-binding resolution on Tuesday with only 13 members voting against it. Council members have been advised to adopt laws to ensure that such operations and practices will not be carried out until a child is old enough to be consulted. The report also highlighted female genital mutilation, or female circumcision, which is commonplace in the western, eastern, and north-eastern regions of Africa. It is also common in some Asian countries and the Middle East. “Circumcision of male children is an ancient religious tradition of two important religions, Judaism and Islam, and it is also common among some Christian circles,” the Foreign Ministry said. Palmor argued that circumcision does not harm young boys’ health or bodies, saying that the American Academy of Pediatrics has proven the health benefits of newborn male circumcision, while the Council’s report does not carry any scientific evidence. Rabbi Menachem Margolin of the Brussels-based European Jewish Association suggested that the science which the resolution is based on might not be fully complete. “The writers of this report have made a partial examination, and did not take into consideration the opinions of most experts, including from the World Health Organization, about the positive health aspects of circumcision,” Margolin told The Jerusalem Post. Earlier this week, Jewish groups also spoke out against the resolution. “This is a sign of anti-Semitism, in my opinion,” The Jerusalem Post quoted the president of the Central Board of Jewish Communities in Greece, Benjamin Albalas, as saying. 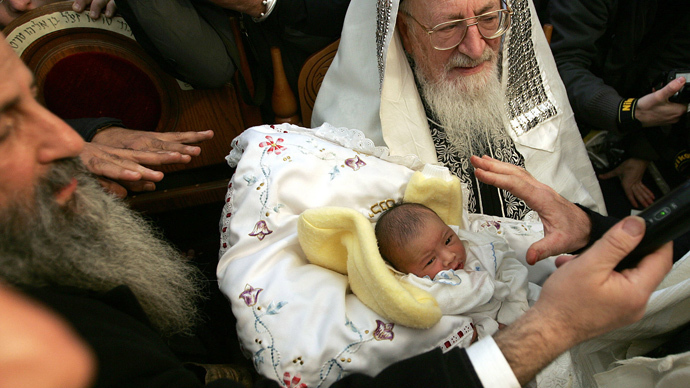 The European Jewish Congress said that any offer to ban circumcision “sends out a terrible message to European Jews that our practices, and therefore our very presence on this continent, are treated with disdain,” the Congress’ president, Moshe Kantor, said, according to the Post. Last year, Germany sparked debates and angered Muslim and Jewish groups in the country after a local court ruled that parents cannot have their sons circumcised on religious grounds. It said that circumcision "for the purpose of religious upbringing constitutes a violation of physical integrity." The ruling provoked fury from both Muslim and Jewish religious groups, who condemned it as discriminatory and "a serious interference in the right to freedom of religion." Following mass outrage, Germany last year passed a federal circumcision law that allows specially qualified members of the religious community to circumcise boys during their first six months of life. After that, the procedure must be performed by a physician. 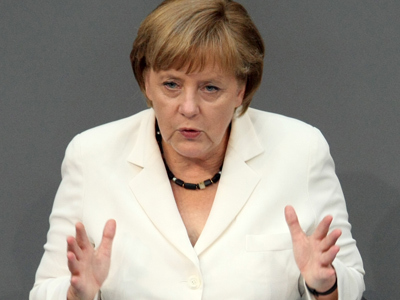 Germany is home to around 120,000 Jews and four million Muslims.